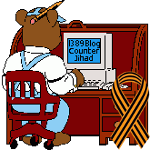 Jihad comes to Philadelphia (David Wood) — 1389 Blog - Counterjihad! Edward Archer recently ambushed Police Officer Jesse Hartnett. After being apprehended, Archer proclaimed his allegiance to ISIS and his desire to promote sharia through jihad. Yet Philadelphia Mayor Jim Kenney insists that the attack had nothing to do with Islam. Can we take the mayor’s comments seriously? David Wood responds.